Sure, you can put some felt under your furniture to protect your floor from being scratched up, but where’s the fun in that? 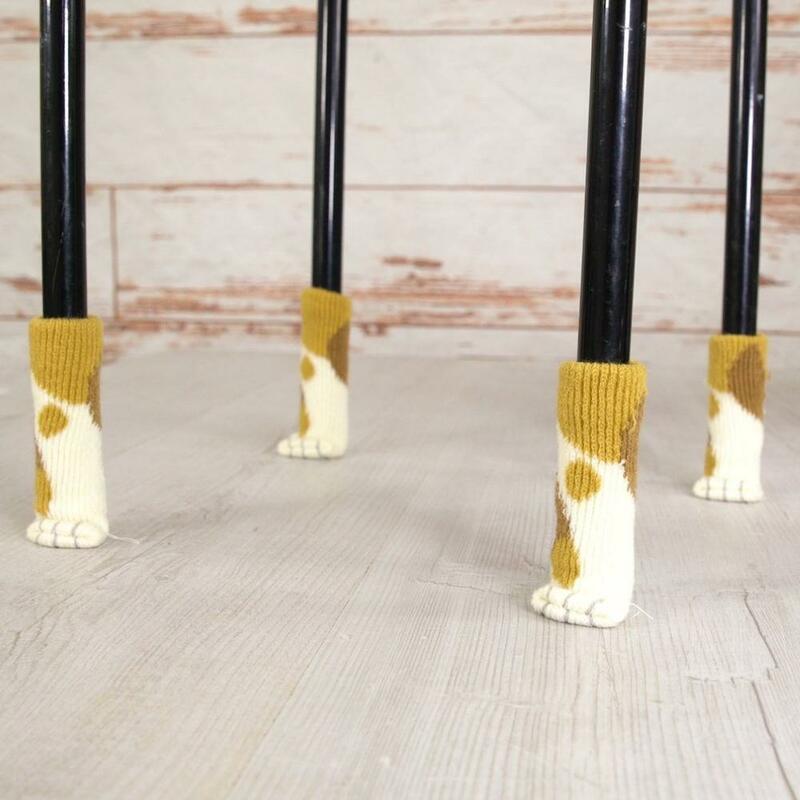 These cat paw chair socks make your table or chair legs look adorably cute. And you don’t have to worry about any damaged floors, as they will be in purrrfect han.. paws. These chair socks are suitable for chair and table legs that are between 6-18cm in circumference, for a snug fit. The cat paw chair socks come in different colors, to match your wooden, black or grey furniture. Get them in a multi-pack so you’ll always have some socks around in case any of your furniture get cold feet. Buy the socks via any of the Amazon links below.